Our last full day dawned bright and clear, and the wind had calmed considerably. 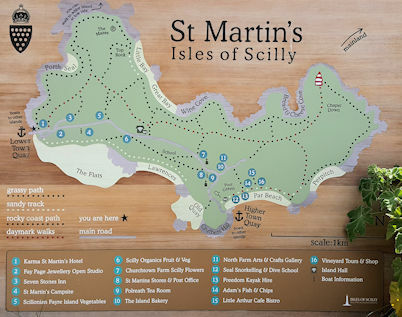 We had hoped to make the trip to Bryher, but sailing times made visiting St Martin’s a more viable option for us. 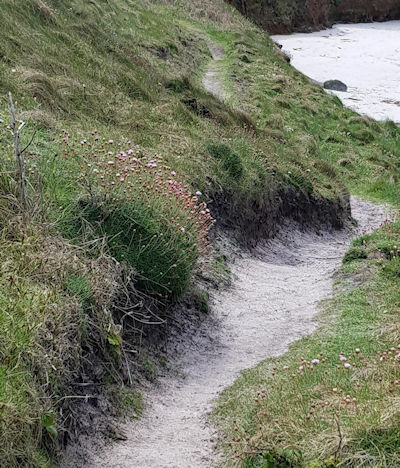 We know that island well, and it is always a delight to revisit familiar paths – and labyrinths! After docking in Higher Town, we hiked up and across the island and then down to what is known as the Maze Field, a rocky area on the shoreline adjacent to the causeway leading to White Island. 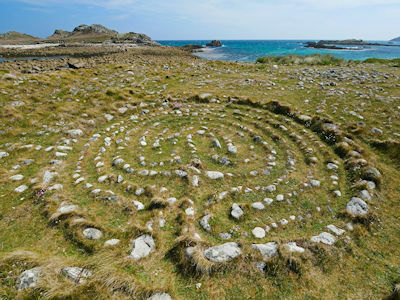 Over the years, visitors have constructed a succession of labyrinths and spirals, some of which have lasted longer than others. 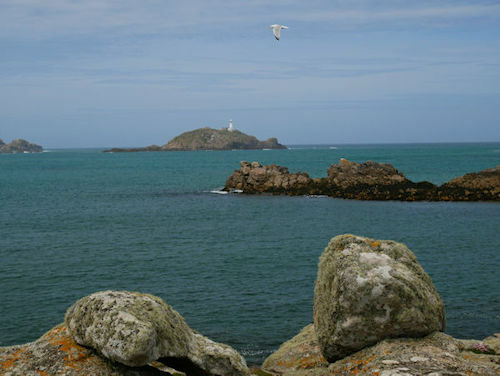 The first was thought to have been constructed by an air crew stationed on the islands during WWII, but there is no documentation to prove it. Our favourite amongst the bunch is undoubtedly the one Jeff built in 1990, which is still walkable today. 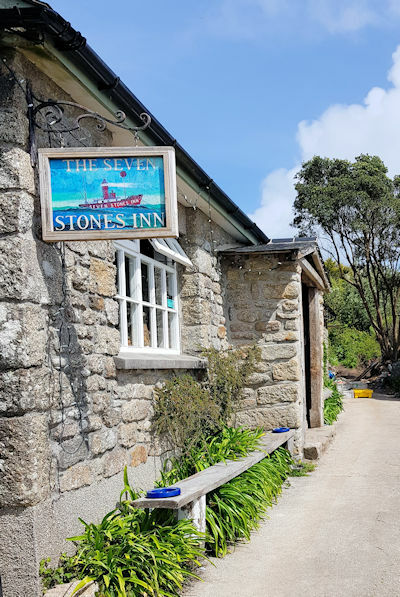 When we started to smell the distinct scent of food in the distance, we headed for the Seven Stones pub in Lower Town to wait for the boat, enjoying icy cider on tap as we sat admiring the views and enjoying the camaraderie of fellow visitors. 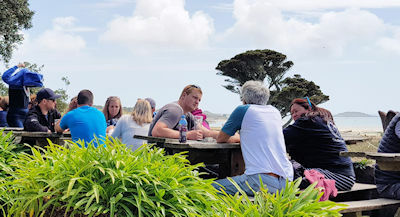 And then it was back to St Mary’s for an early dinner and a chance to watch some of the practice sessions for the pilot gigs gearing up for the annual championships at the end of the week. 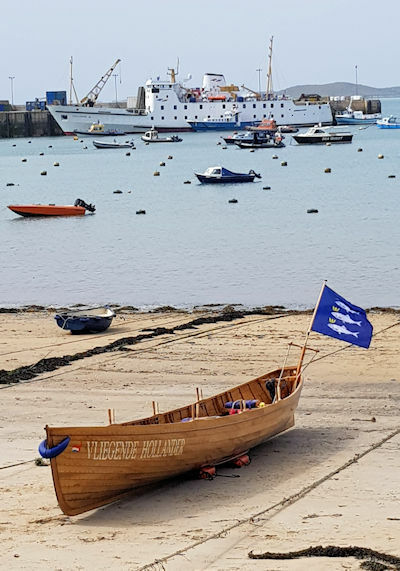 Gig racing is a big part of island life and it was fun to watch as gigs and their crews gathered for the weekend. Watching the synchronization and teamwork in action is a mesmerizing and emotional experience that further deepened our sense of connection to these islands and the people who love them. While it was the labyrinths that brought us back to these islands for the week, what we will take home in our hearts is memories of the environment and the community that supports and surrounds them. You can read Jeff’s report on our research findings in Caerdroia 47 when it comes out next month. 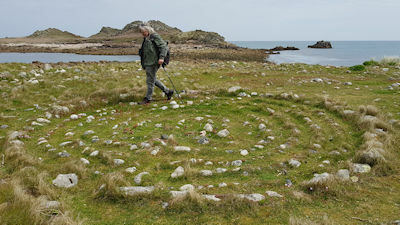 The labyrinth story here is a good one, as waves of visitors brought an ancient symbol with them to their holiday destination, and then the symbol itself stayed on to become part of the local culture. Our thanks to those who assisted us in our research and shared their stories of local labyrinths they remember walking when they were children. 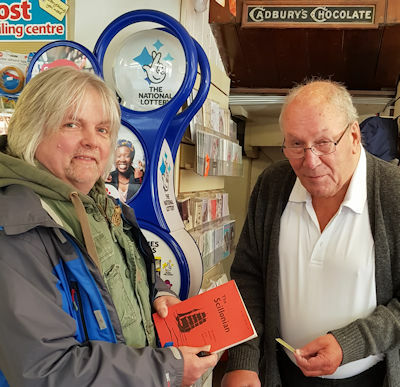 Let me close with one of my favourite photos, two editors with decades of editorial service between them, one specialising in labyrinths, one in the isles of Scilly. Clive Tregarthen Mumford, editor of the Scillonian and Jeff Saward, editor of Caerdroia. So beautiful….someday I hope to go there for a wander! !